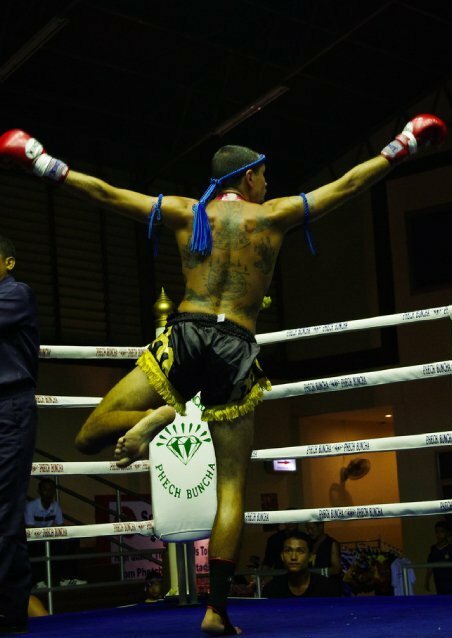 Starts 9pm Be There!….. Starts 9pm Be There!…..
Koh Samui has 2 major Muay Thai stadiums, Phetch Buncha Stadium and Chaweng Stadium. 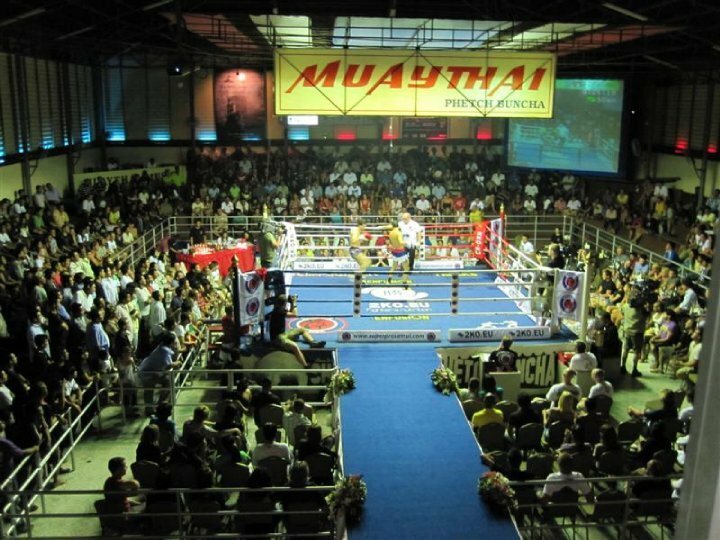 Phetch Buncha Stadium is located near Laem Din Market, close to the Koh Samui Police and Fire stations in central Chaweng. 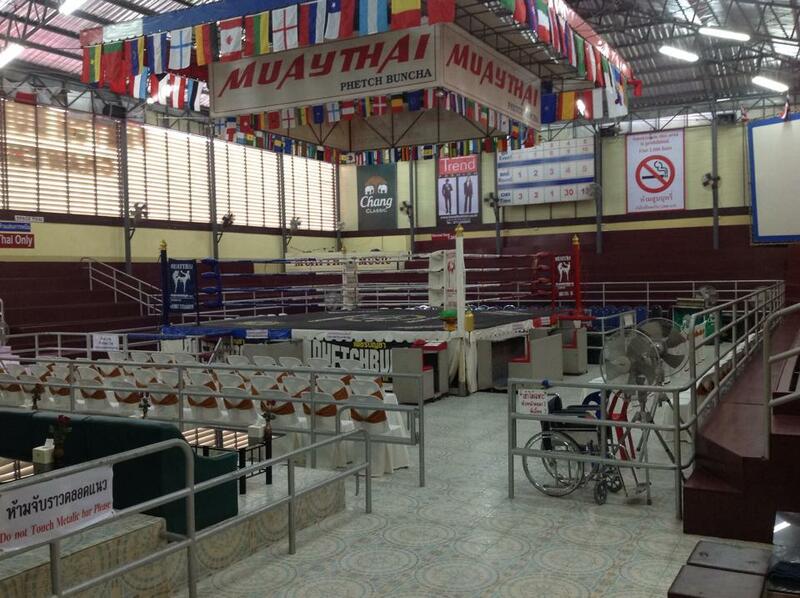 Various types of seating tickets are available, they are the same price at the stadium door and at Island Info. 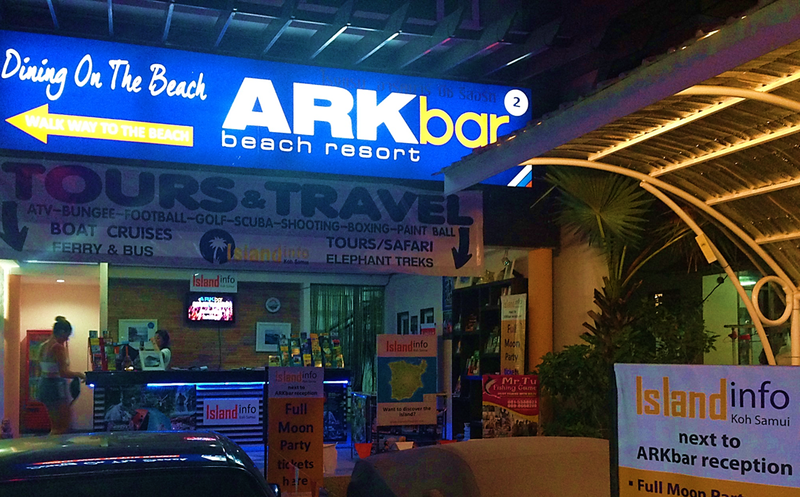 If you buy your ticket at Island Info your transport to Phetch Buncha Stadium is *FREE. 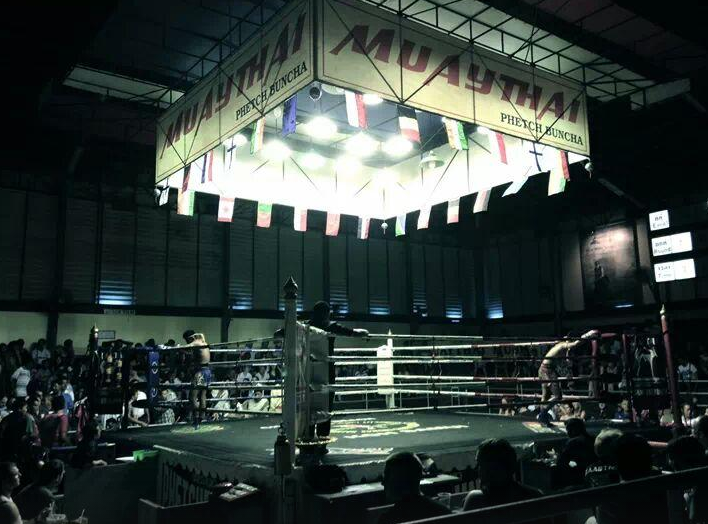 There are between 6 and 8 fights scheduled per night, the program commencing just after 9 PM with the younger and less experienced Muay Thai exponents, progressing through to the main event. 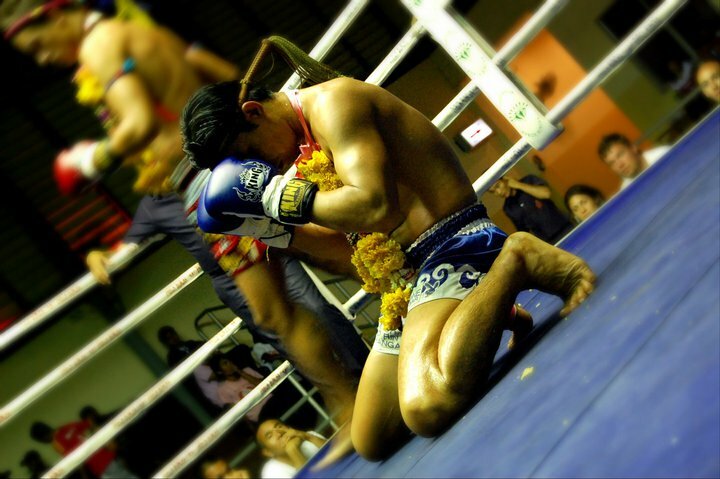 Every competitor performs the “Wai Kruu”, a traditional and ritualistic routine, that combines dancing and bowing in honour of the trainers. 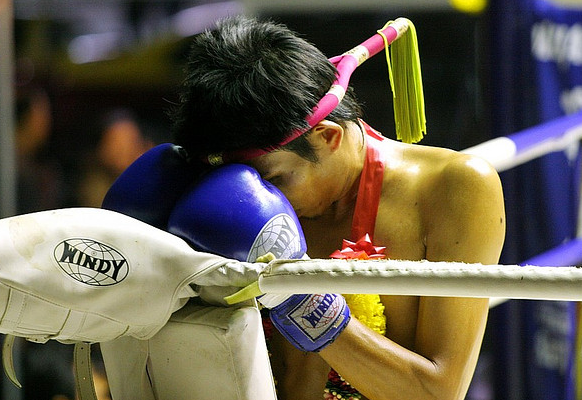 Regardless of your attraction to regular boxing or other contact sports, watching Muay Thai should certainly be on your “to do” list while you are in Koh Samui. 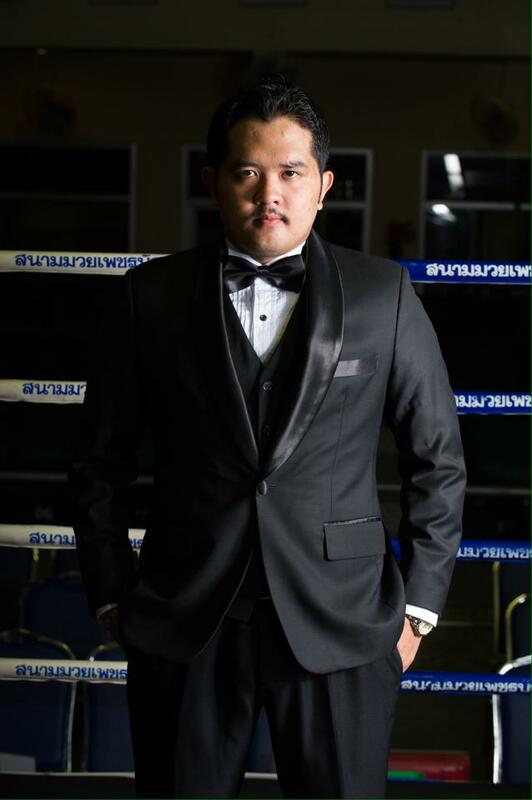 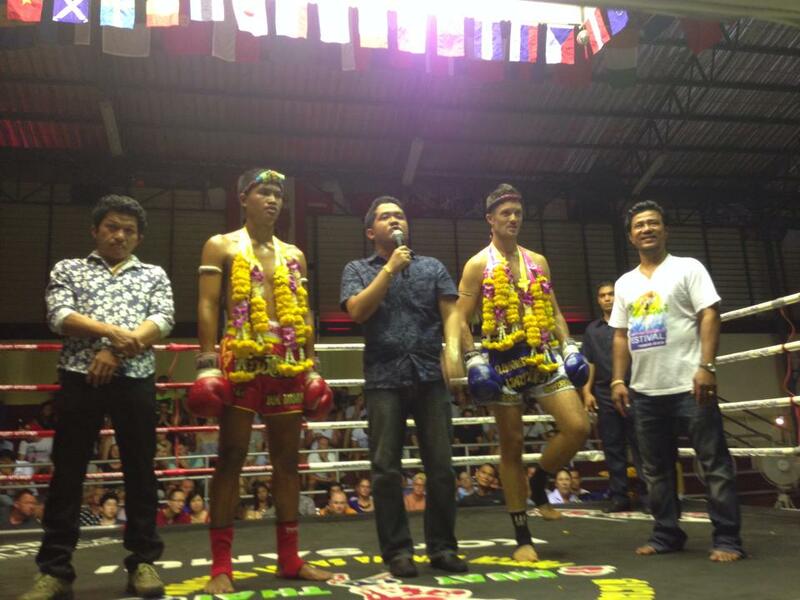 The whole event, not just the fight itself, provides an insight into local culture and the importance of Muay Thai within the Thai society, while the non-stop activity and action provides a great night’s entertainment for visitors all ages. 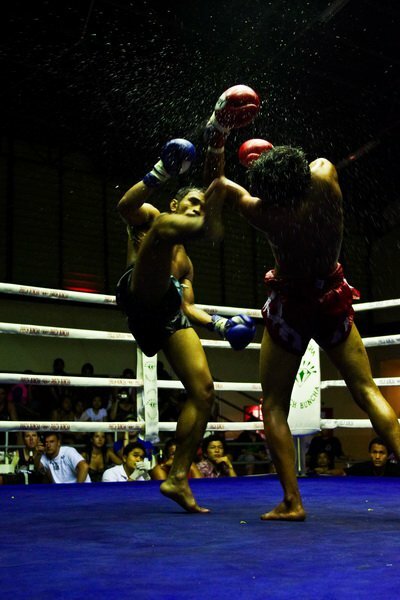 In recent times, a growing number of westerners are enrolling in training camps in Samui and all over Thailand, some come to train and learn this sport others come to improve their overall fitness and speed. 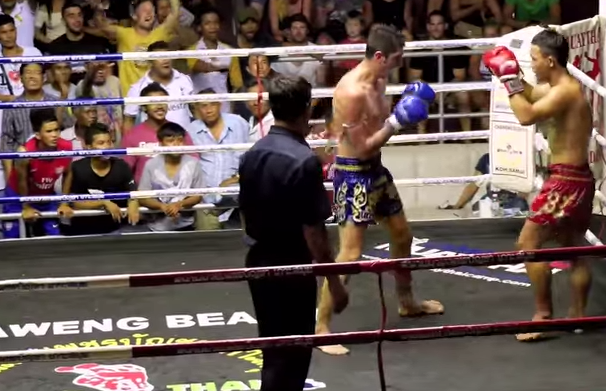 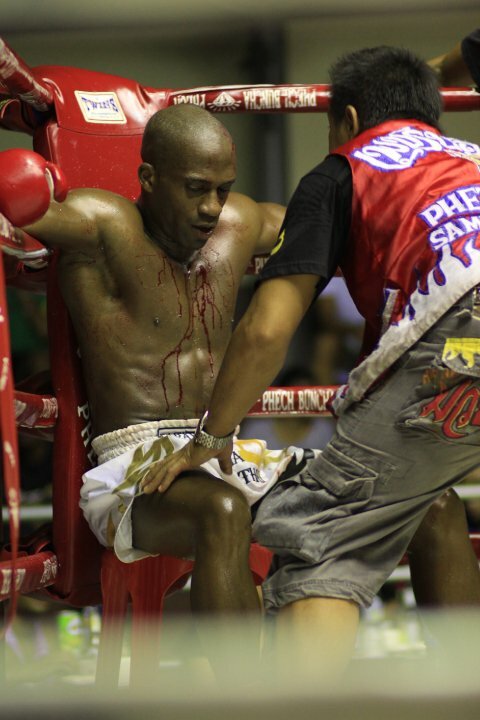 Muay Thai is action packed and relentless!